Rome is one of the most popular medical tourism destinations in Europe and the number of procedures performed here each year has grown by a staggering 40 percent in recent years. Italy's capital leads the way in the nation's cosmetic procedures, and Rome hospitals and medical centres offer first rate medical care, with prices for procedures being dramatically lower than in the UK and the US. While all Rome hospitals and clinics meet European standards, there are three main hospitals that cater specifically to medical tourism. English speaking Rome doctors staff all of the medical facilities here, and many of these practitioners specialise in popular procedures such as breast augmentation. Of note, there are also plans to expand the city's facilities in the next few years. 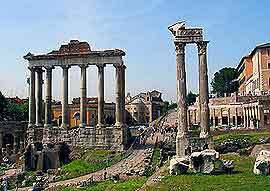 One of the things that sets Rome apart from other medical tourism destinations is that most of the medical practitioners here are fluent in English, while the standards and facilities are world class. 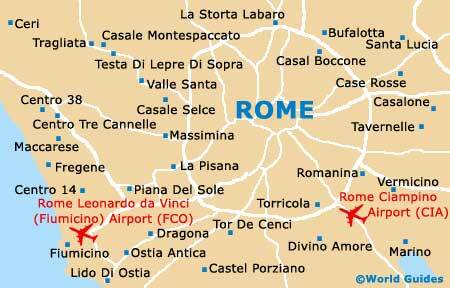 Rome has long been a popular tourist destination and is well connected by air to the rest of the world. Rome is one of the most breathtaking cities in Europe, boasting world famous attractions such as the ancient Coliseum, the Trevi Fountain and the Vatican City. This leading tourist destination is also famed for its rich and diverse nightlife scene, offering some of the best restaurants in Italy and numerous theatres. Visitors who are in search of medical treatment can spend their recovery time indulging in a spot of retail therapy, browsing for bargains in the secondhand clothes shops along Via del Governo Vecchio. Those looking for cutting-edge fashion will also want to check out the chic boutiques that are located around the Piazza di Spagna. Cosmetic procedures are extremely popular in Rome, especially breast augmentation, tummy tucks, liposuction and facelifts. Dental surgery in Rome is also very prevalent, while the leading city hospitals offer a wide range of other procedures, from heart surgery to knee operations. Medical care in Rome is of a high standard and all private hospitals are packed with top of the range facilities, offering patients spacious private rooms with a host of modern conveniences. The city's Agostino Gemelli University Polyclinic is the largest private hospital in Italy and also serves as a teaching hospital. Patients travel here from all over Europe and beyond to receive specialised cosmetic surgery, as well as knee surgery and other types of medical care. Specialising in procedures for children, the Bambino Gesu Hospital opened its doors in 1869. This leading hospital is one of Europe's most innovative medical institutions and the world's first permanent artificial heart transfer in a teenage patient was recently performed here.